Color tones for all Premium White Hydrangea Flowers may vary due to the computer monitor and/or Mother Nature. 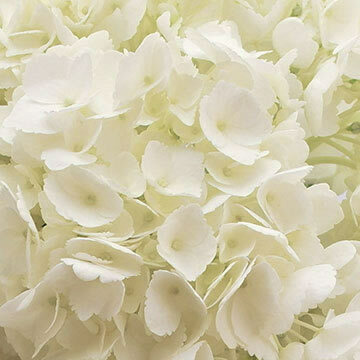 Experience the joy of premium white hydrangea flowers, which make quite a statement. • Diameter when bloomed: 5.9" - 6.7"
• Box Dimensions: 5"x 5"x 73"
Perfect for special occasions, they can be used at weddings, in bouquets or centerpieces. 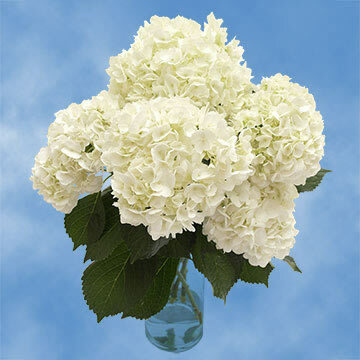 A delight at dinner parties, premium white hydrangea flowers command the room at any social function. Long-lasting, our flowers are cultivated year-round under the most naturally simulated conditions in our technologically advanced greenhouses to ensure premium freshness. 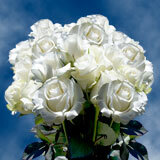 We take pride in our flowers and provide the best stem selections available for your custom arrangements. 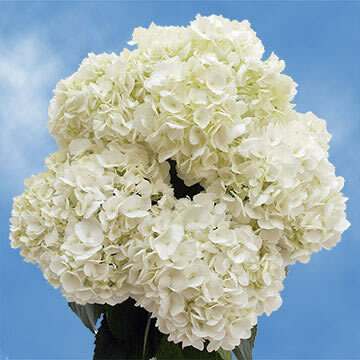 We utilize the services of FedEX to ensure guaranteed arrival of your white hydrangea flowers. 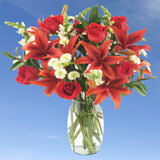 Our assortments are fresh, crisp and have the tightest blooms when delivered from our greenhouse to your doorstep. 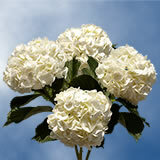 You can be assured that your white hydrangea flowers will arrive in the best condition for your function. You will get the best for less. Our selections are not just discounted flowers, but the best you can possibly find year-round, no matter what season, no matter what day. Most beautiful flowers I have ever seen! I am thrilled with the hydrangeas I purchased from you! My wedding flower arrangements and bouquets were beautiful thanks to you! These hydrangeas were shipped May 30. I took this picture today, June 8. 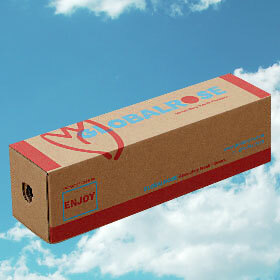 I am very happy with them and will order again from Global Rose. They were a day late because of a delay at customs, but still in time for my party. Plan accordingly if you order. The staff at Global Rose was very helpful. 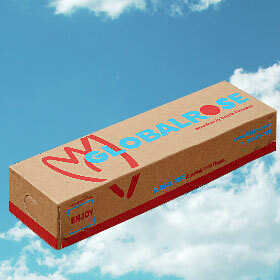 If Facebook had a star rating system I would give Global Rose 5 out of 5. 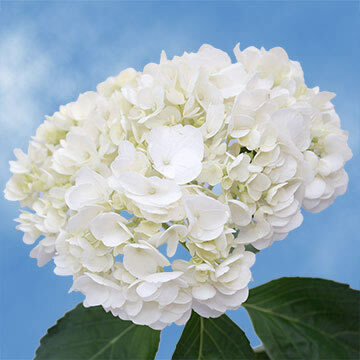 I ordered white hydrangeas for my daughters wedding in November. Spectacular flowers and service! 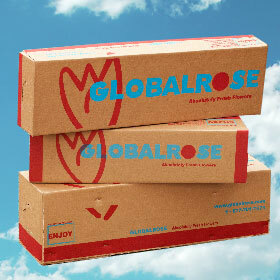 I would order from Global Rose again!! Thank you!! These flowers were unbelievable! 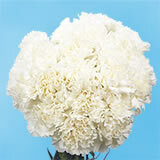 I ordered white hydrangeas, babys breath, greens, and red roses for my wedding. They were so gorgoeous! My unbelievable Mother-in-law did my arrangements and they were perfect centerpieces! Thank you! Flowers arrived at the exact time they estimated and they were all individually wrapped with water sac and they were fresh and huge blooms. They were beautiful at the event and are still fresh, and will last for at least another week. Beautiful white Hydrangeas. 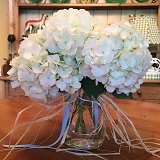 Ordered white hydrangeas, they were packed well and bloomed beautifully when hydrated per instructions. 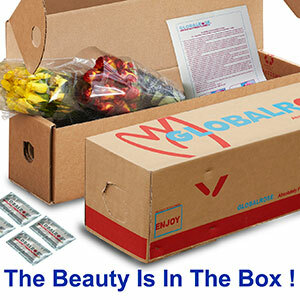 Would order from this company again. My order arrived early and in good condition. The instructions on the package and on the website were easy to understand. The white hydrangeas are still looking beautiful 8 Days Later. 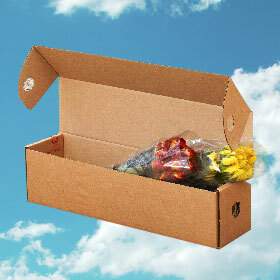 I would order again from Global Rose. Thank you for making the wedding table centerpieces absolutely amazing!